Why ambient? A math teaching style that’s whole and all encompassing, with themes that repeat many times through the years, is most likely to be effective and successful. Today’s standard will be listed in blue, followed by its ambient counterpart. 7. Tell and write time from analog and digital clocks to the nearest five minutes, using am and pm. Know relationships of time (e.g., minutes in an hour, days in a month, months in a year). This is still too abstract and advanced for second grade. For reasons cited in earlier posts, the optimal time to teach time is third grade. A more generalized sense of time can begin early on, but it’s a sense that must be allowed to grow gradually, not be taught abstractly with apps or worksheets. Form drawings can point to the concepts of time with the divided circle. 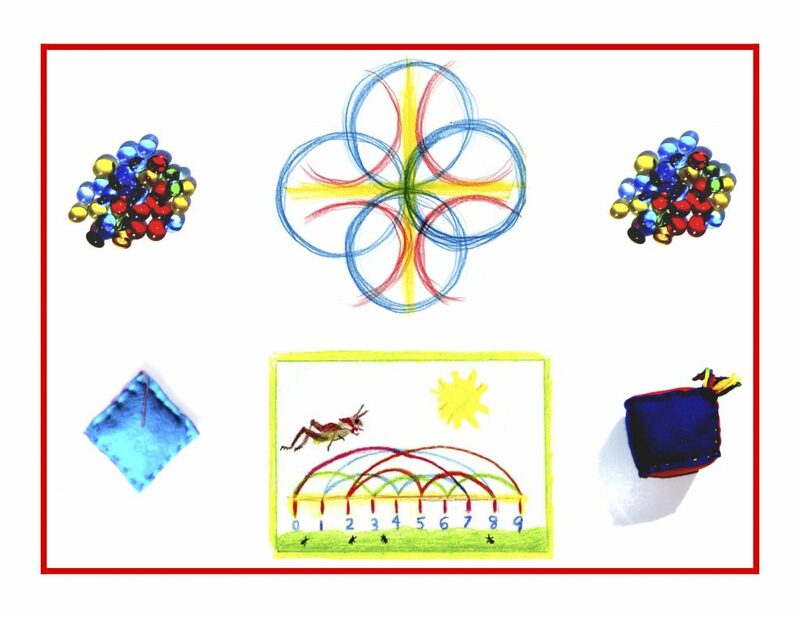 Many variations on the 12-circle can help prepare for reading an analog clock or watch. But beyond mere knowledge of time on the “face” of it, lies a greater awareness of the 12-hour day and night cycle as an archetypal form. The teaching and learning spiral method comes into play here, beginning with fairy tale time and gradually becoming more “real” as the child’s awareness grows. 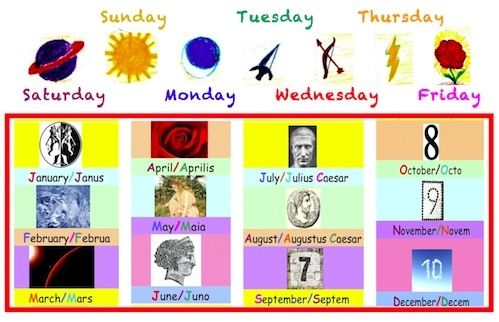 Stories can be told about how the days of the week and months were named, and then the stories can be illustrated for greater clarity and retention (see below). Here’s a teaser for Grade 3. Why are September, October, November, and December named as if they were months 7, 8, 9, and 10, instead of 9, 10, 11, and 12? Tune in to next month’s Grade 3 posts to find out. All of this comes when the time is ripe for time! If these concepts are illuminated with stories and art, they impart a deep respect and love for the way the world turns and time passes. Rather than a dry, abstract approach, the child learns the why of all things, which is after all childhood’s most pressing need. 8. 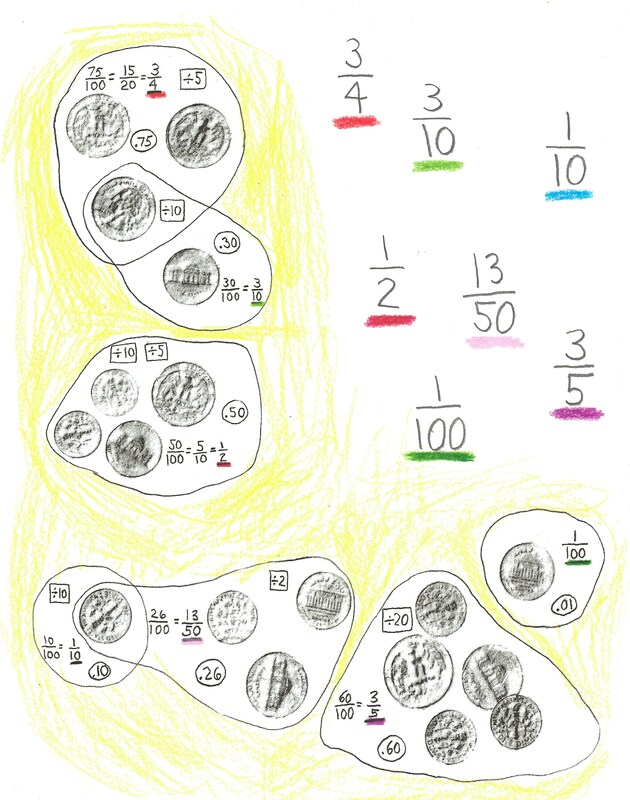 Solve word problems involving dollar bills, quarters, dimes, nickels, pennies, using dollar and cent symbols appropriately. Example: if you have 2 dimes and 3 pennies, how many cents do you have? In Grade 4, there’s such a perfect window for this, that waiting is well worth it! As usual, there will be an awareness of money values, bills and coins, well before this. But it can be formally taught then in conjunction with decimals and fractions. Such a natural fit! There is little to no need to cram too much into the Grade 2 school year. As said earlier, learning place value and regrouping as well as making good, solid inroads into learning all of the times tables is quite enough for now. 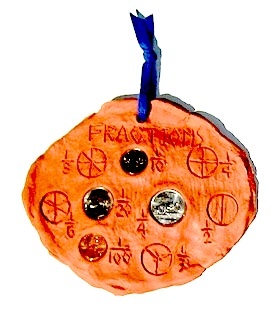 See below for some Grade 4 examples of relating coins to decimals, fractions, and mixed numbers. Knowledge ensues in an environment dedicated to imaginative, creative knowing, where student and teacher alike surrender to the ensuing of knowledge as a worthy goal. Tune in tomorrow for more Common Core measurement standards and their ambient counterparts.